Do you find working the Social Media side of your business difficult? We understand that Social Media can be overwhelming and if not done properly it can have a negative effect on your business. 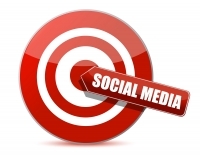 The majority of social media networks will bring credibility to your website in the eyes of the search engines. Online branding is key for growing a successful business. With social media networks we can raise your profile and create awareness of your product and service. Our social media experts can post and optimize your social media sites to ensure that you are getting the most out of your online branding. Facebook, Twitter and Google+ are staples in today’s SEO market. The more those networks are updated the more people will find you when seeking your product or service. Being involved in these social media clubs is beneficial for your websites and online search engine rankings. The search engines like to see a business active in social media markets, it helps create a sense of trust and legitimacy.